PROPOSALS to amend value-added tax (VAT) legislation to include electronic services and products supplied by international firms to South African consumers are under way. VAT laws in South Africa are not written to cater for digital transactions, such as online downloads of movies, music, games or access to content in the cloud (an internet-based storage mechanism). 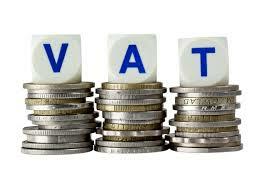 South African VAT laws are written with a focus on physical goods and in-person services. Deloitte’s assistant manager of VAT, Anne Bardopoulos, says South Africa has lagged behind other countries as it has not introduced specific provisions, rules and guidelines to effectively govern these nonresident transactions with local buyers. Foreign e-commerce suppliers are often not required to register and collect VAT from the local customer. This leaves the obligation to declare and pay the VAT on the buyer. But Dr Bardopoulos says insufficient and inadequate controls exist to monitor and enforce these obligations on the man in the street, which means the costs of collecting VAT from private buyers could outweigh the revenue collected. She says that due to the growing popularity of e-commerce, vast amounts of VAT are not being collected for state coffers and that inefficiency was giving foreign suppliers an advantage over local suppliers, who are required to collect VAT from their customers. Amendments first proposed in the 2013 budget to bring e-commerce supplies by foreigners into the South African tax net were included in the first draft of the Taxation Laws Amendment Bill 2013. Since then, various issues raised during the consultation period have been considered by the Treasury, and the rules were more closely aligned with other VAT jurisdictions, including the European Union. The Treasury presented the additional proposed changes to the draft amendments to Parliament in September. Clarity was provided on which types of electronically supplied services are to be subject to VAT by narrowing the definition of such services and also prescriptions made by the minister of finance to be released in the future. The request for the introduction of a VAT threshold similar to local-registration threshold requirements was partially accepted. The VAT Act stipulates that local persons who make taxable supplies in excess of R1m in any consecutive 12-month period are liable for compulsory VAT registration with the South African Revenue Service (SARS), but a person may also choose to register voluntarily, provided the minimum threshold of R50,000 had been exceeded in the previous 12-month period. “If it is Treasury’s intention to comply with international trends, the services included as a minimum should include website hosting, data warehousing, software supplies and updates, the provision of images, text, music, films and games, gambling games, and subscriptions to databases and websites,” says Dr Bardopoulos. It is probable that the effective date of the new e-commerce VAT provisions will be extended to April 1 next year to allow SARS to make system changes, and to give foreign suppliers time to make adjustments to their own systems, as well as register for VAT where required, Dr Bardopoulos says. Until then, a VAT exemption for imported services when the transaction value is R100 or less, will apply. Website Design and Content by Izon.